The programme for WPSS2019 is now available for download. Registration for WPSS2019 has now closed! 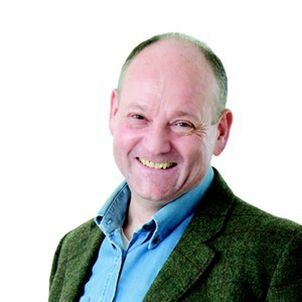 We are delighted that Professor Russell Foster CBE, FRS will be delivering the keynote address at WPSS2019. Professor Foster is internationally-recognised expert in circadian neuroscience based at the University of Oxford. Thanks to the generous support of the Faculty of Science, there will be a free pizza and wine reception held at the end of the symposium, during which the winners of the prizes for best poster and flash talk will be annouced. What is the Warwick Postdoctoral Science Symposium (WPSS2019)? Following on from the inaugural event in 2018, the symposium is a free one-day event designed to bring postdoctoral researchers together from across the Faculty of Science at Warwick to share their research and develop cross-departmental networks. The day consists of contributed talks, poster sessions and networking time over coffee, lunch and an evening pizza and wine reception. There will also be a keynote address. All postdocs and postdoctoral-level researchers in the Science Faculty or Medical School at the University of Warwick. The Science Faculty consists of the following departments: Chemistry, Computer Science, Engineering, Life Sciences, Mathematics, Physics, Psychology, Statistics and WMG (see here for more information). WPSS2019 will be held in on Tuesday 7th May 08.30-19.00, at the Medical Teaching Centre, which is located on Warwick's Gibbet Hill Campus. The programme for the day can be found here. For directions, search for the Medical Teaching Centre on the interactive map. No, attending the symposium is free of charge (including lunch, refreshments and the evening reception), thanks to the support of the Faculty of Science and our sponsors. How can I present my work? We invite the submission of abstracts (max 2000 characters) for contributed talks (15 minutes), flash talks (5 minutes, one slide) or a poster (maximum size A0, portrait orientation). Due to the limited number of time slots available, contributed and flash talks will be selected by organising committee after online abstract submission has closed. There will be prizes awarded for the best flash talk and poster, judged on the day. Please remember that WPSS2019 will be attended by scientists from a range of departments, and your audience might include psychologists, chemists, engineers, biologists... Therefore you should aim to present your work at a level understandable to a general scientific audience. The deadline for submission of abstracts was 24th March. WPSS2019 is an opportunity to meet other postdoctoral researchers working across the range of science departments at Warwick. As well as scientific talks and the keynote, there will be the opportunity to meet representatives of support services based at Warwick to find out more about the help available to early career researchers. The deadlines for submitting abstracts and registration have now passed. Postdocs still interested in attending the symposium but missed the deadlines are encouraged to contact the organizers at the address below. WPSS2019 is generously supported by the University of Warwick's Faculty of Science and Shimadzu UK.